I was browsing the beautiful free patterns on Fiber Flux. The Pavement Infinity Scarf caught my eye. The pattern is simple, well written, and easy to follow even while you are half asleep! The perfect pattern for the Christmas gift crunch time! I didn’t have enough bulky yarn so I used some Sensations Rainbow Boucle that I bought a few months ago at JoAnnes. I used the N- 9 mm crochet hook. I did adjust the width of the infinity scarf to a starting chain of 23. I also plan on making another one with the same starting chain amount as Fiber Flux used. 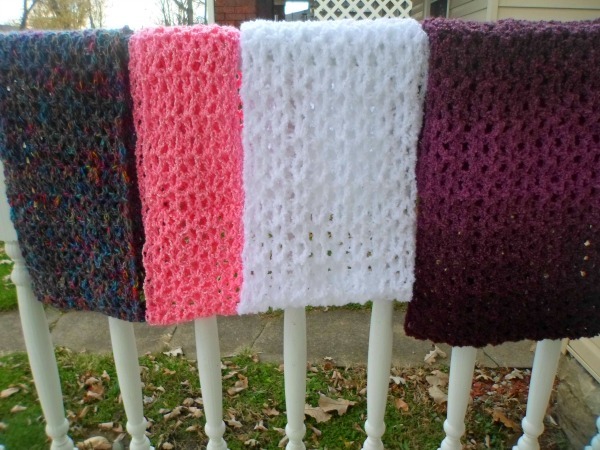 Be sure to stop in and visit Fiber Flux on her Blog, Facebook, Pinterest, and Ravelry! 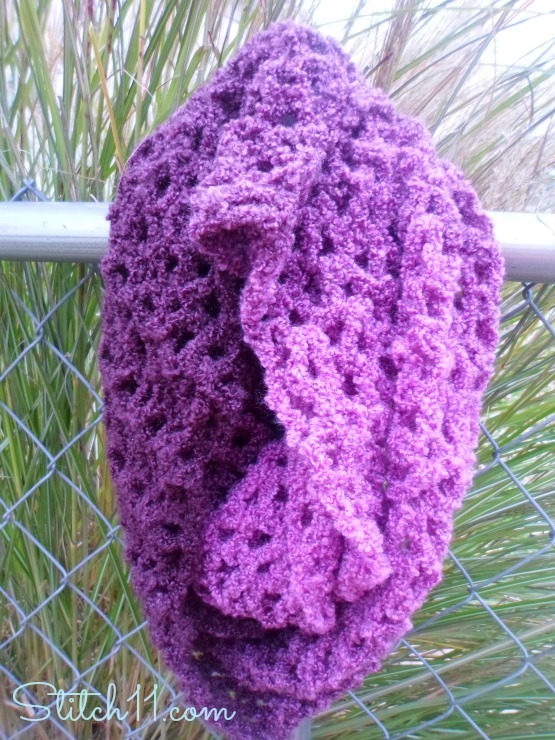 i keep seeing a beautiful lavender or a purple scarf and i can’t find a pattern. is there pattern avaliable? I just used one strand. Maybe try using a smaller hook?